Hotel fires have been the news focus in the region recently. With more innovations in hotel designs globally in general, and in the Middle East in particular, achieving adequate levels of fire and life safety has proven to be a challenge and an arduous task. Fire and Life Safety is a continuous process, and cannot be absolutely achieved at any stage of the life cycle of any hotel property. This article will discuss hotel fire safety both during design and construction stage, as well as during the operational stage of a hotel property. A holistic approach to the fire and life safety of hotels will help the various stakeholders (owners, operators, architects and design team) in the endeavor to achieve adequate levels of safety. Fire Safety of hotels during the design stage mainly involves meeting the minimum levels of fire and life safety as prescribed in the codes and standards adopted by the local authorities having jurisdiction (AHJ). The AHJ are usually the local civil defense in the region. In the Middle East, adopted codes and standards vary by city and country. The adopted codes are usually either locally drafted, or an internationally recognized code. As an example, Dubai adopts the UAE Fire and Life Safety Code, whereas Doha adopts the National Fire Protection Association (NFPA) codes and standards with local Fire Safety Standards (FSS). 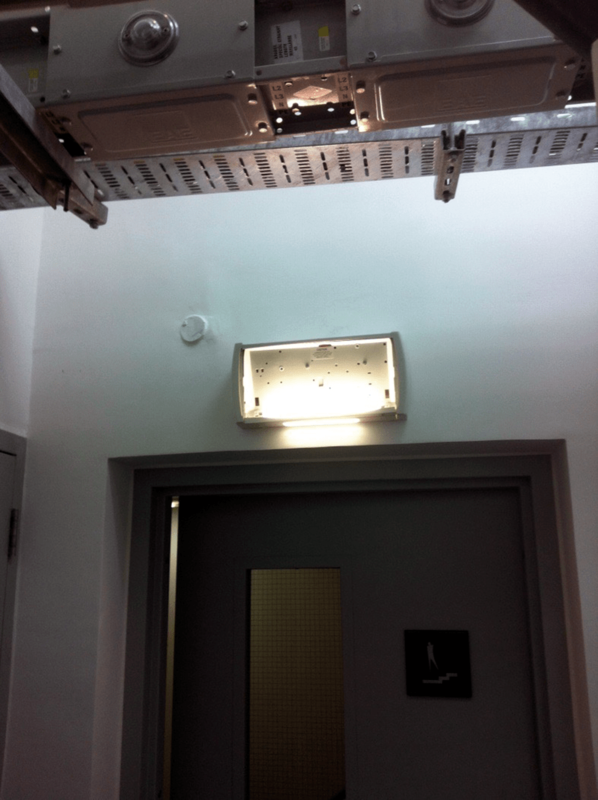 This faulty fire alarm panel will cause potential fire alarms in the hotel property to be unmonitored. From a fire and life safety standpoint, hotels are a mixture of different occupancy types, namely – Assembly (ballrooms, restaurants, meeting room areas, convention centers, and other places of guest gathering within the hotel), Business (BOH, front and executive offices, and other office spaces within the hotel), Storage (parking areas), Industrial (mechanical areas), and Hotel (hotel rooms and suites). Each of these areas has varied fire and life safety requirements. As an example, ballroom and banqueting areas (assembly occupancy) have more restrictive egress requirements (owing to the large number of people) compared to parking areas (storage occupancy). Navigating through the varied fire and life safety design needs of different areas within the hotel property is a task that needs to be performed at the hotel building design stage. In addition, hotels may architecturally contain special design features (such as atriums) which present an inherent challenge in fire and life safety design. These design features may need to be analyzed by a specialist/ expert beyond prescriptive code requirements. Performance based engineering approaches usually need to be adopted for such designs. Keeping in mind the issues presented above, owners and concerned stakeholders (operators, architects) usually engage fire and life safety consulting engineering firms to help them navigate through the adopted code and brand requirements, in order to achieve the minimum required levels of fire and life safety. In various jurisdictions within the Middle East, it is also a base requirement by the AHJ’s (local civil defense) to have the fire and life safety strategy drawings and plans reviewed and stamped by a recognized fire and life safety consultant. The fire and life safety consultant is an integral part of the hotel design team, and is often engaged right from the concept design stage (for initial fire strategy approvals) to the commissioning and building handover stage (for the final inspection prior to issuance of building occupancy certificates) on projects. Handrails on one side in the exit stairs of a new hotel building. Handrails are needed<b on both sides in new hotel buildings. A fully operational hotel has various departments working in unison, with engineering team responsible for the upkeep of the fire and life safety installations in the property. Even though the hotel engineering department is primarily responsible for fire and life safety, various other departments (security, food and beverage, housekeeping and front office) within the hotel need to be fully aware of fire and life safety operations and procedures during a fire scenario. The maintenance of fire and life safety systems installations, such as – fire alarm systems, fire pump systems, fire extinguishers and standpipe systems, wet chemical kitchen hood suppression system, clean agent suppression system, stair and elevator pressurization systems, parking jet fan systems, etc. is usually carried out periodically by a third party testing and maintenance agency. These agencies usually enter into annual comprehensive or non-comprehensive contracts with the hotel’s engineering teams. In addition to these full scale maintenance tests that are carried out by an external agency, it is essential that the engineering and security teams undertake regular maintenance and inspections. For example, weekly pump tests are usually performed by the hotel’s engineering teams, whereas full scale fire pump maintenance may be performed quarterly by the testing agencies/ contracting companies. Fire drills are another key element in hotel fire safety that prepare hotels for potential fire scenarios, and promote better responses and results. Periodic fire drills following brand and local AHJ procedures, involving both the guests and staff members need to be held to better gauge preparedness. Staff training on the basic operation of fire extinguishers, and manual firefighting systems is also another key element that improves responsiveness during a fire. Clearly defined roles and responsibilities during a fire scenario help in keeping the response organized, and helps prevent panic during fire incidents. Exit Corridor obstructions in an operational hotel building. 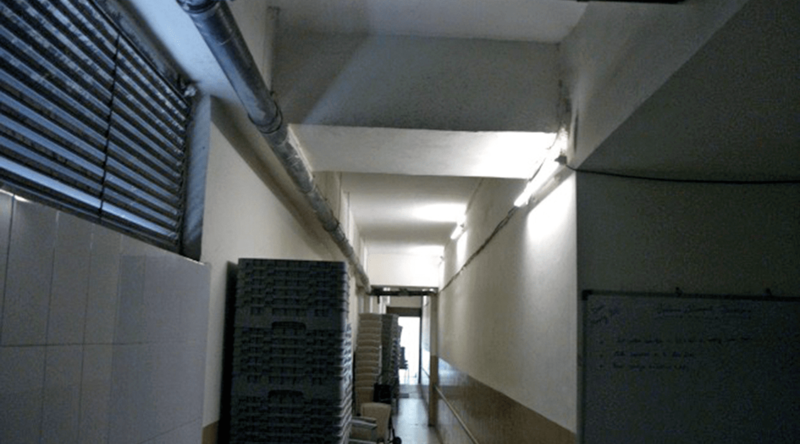 These obstructions cause the width of the exit corridor to decrease, leading to a reduced exit width during a fire scenario. 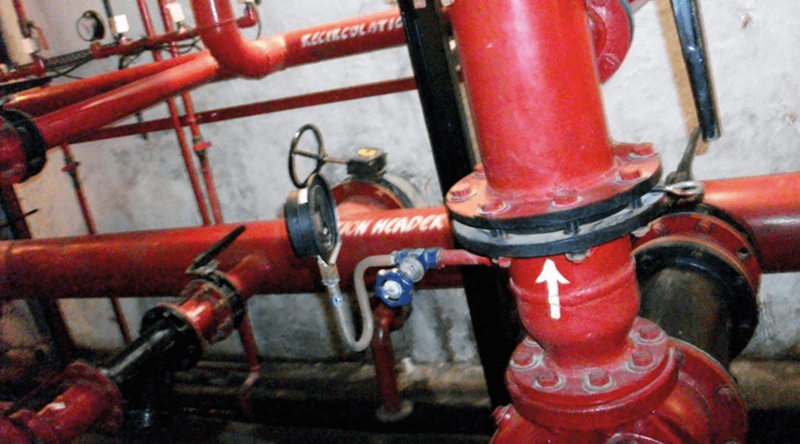 Fire Pump valves not supervised or locked pose a danger of the valve being locked, which may lead to the fire pump not operating during a fire scenario. 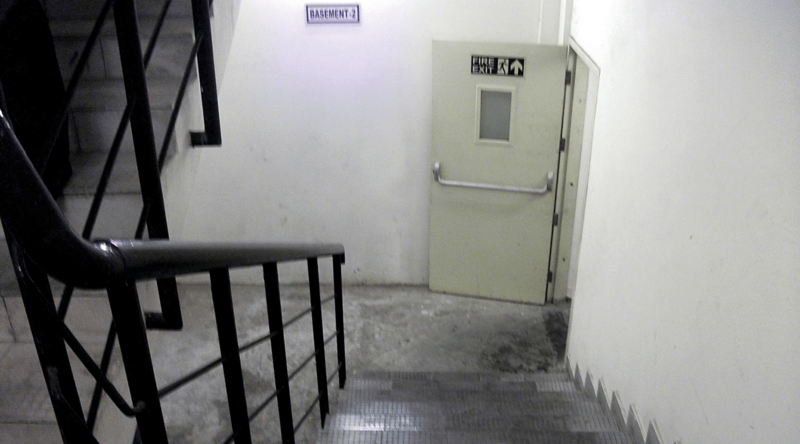 Insufficient exit signages lead to confusion in egress during a fire scenario, especially to hotel guests who are not familiar with the location of the exit stairs. Fire Safety during design and construction, as well as operational fire safety are interlinked in nature. An adequately designed fire and life safety strategy during design and construction stage will result in easier maintenance during the operational stage of the hotel. If major fire and life safety design issues exist during design and construction stage, it becomes very complicated to solve these issues during operational stage. Fire and life safety systems cannot be re-designed beyond a certain extent in a fully functional hotel, owing to business interruptions, and guest discomfort. 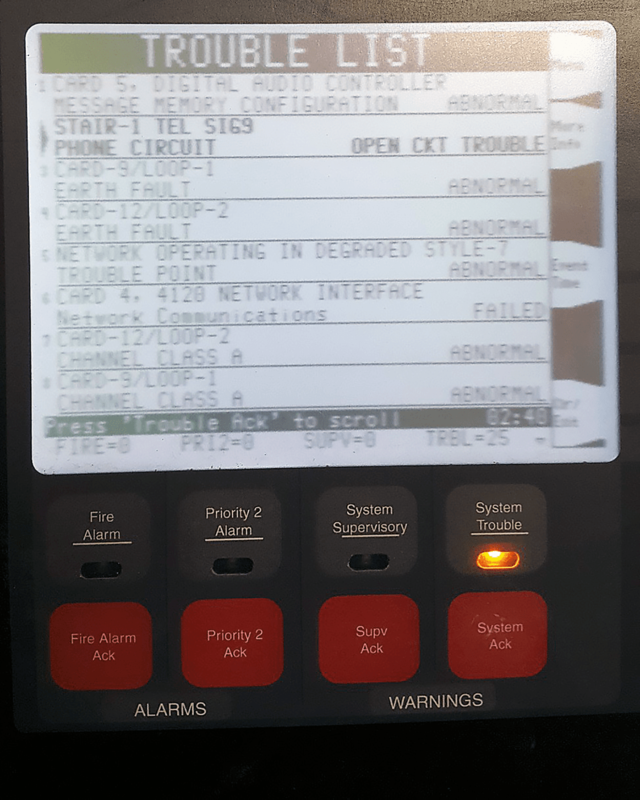 For example, a faulty fire alarm system installed in a fully functional hotel cannot be easily tested and debugged owing to noise in guest areas, leading to guest complaints and discomfort. The responsible stakeholders need to realize the importance of an adequately designed fire and life safety system during the construction stage, and the impact it can have over the long term life of the hotel operations.